Kirishima (新燃岳 in Japanese), one of Japan's most active volcanoes. It is actually a group of 18 young, small stratovolcanoes north of Kagoshima Bay: Takachihonomine, Nakadake, Ohatayama, Karakunidake, Tairoike, Ohachi, and Shinmoedake are the principal vents. Historic eruptions have been recorded since 742 and there are more than 60 recorded eruptions, mainly from Ohachi and Shinmoedake, with the exception of a small lava flow from Iwoyama in 1768. Relatively large eruptions occurred in 788, 1235, 1716-17 and 1768, and in 2011. 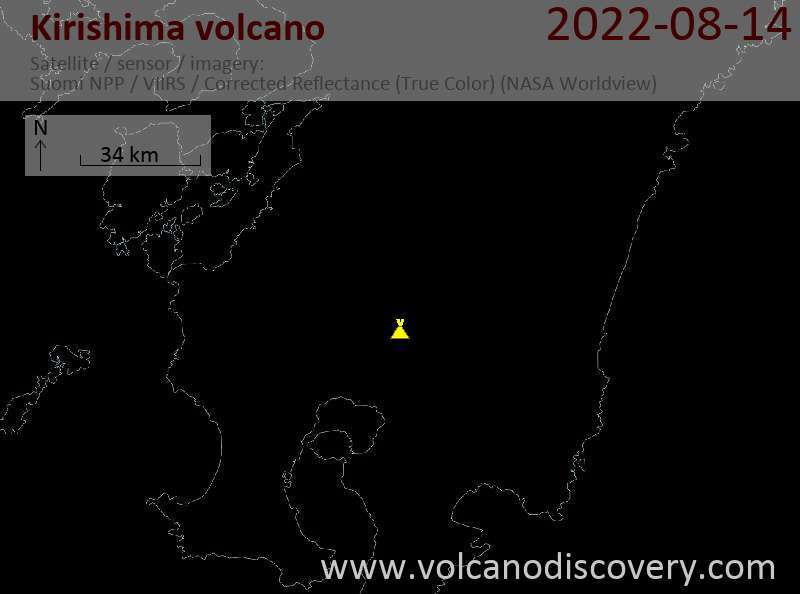 A violent eruption started at Kirishima on January 26, 2011, the largest one for more than 50 years. 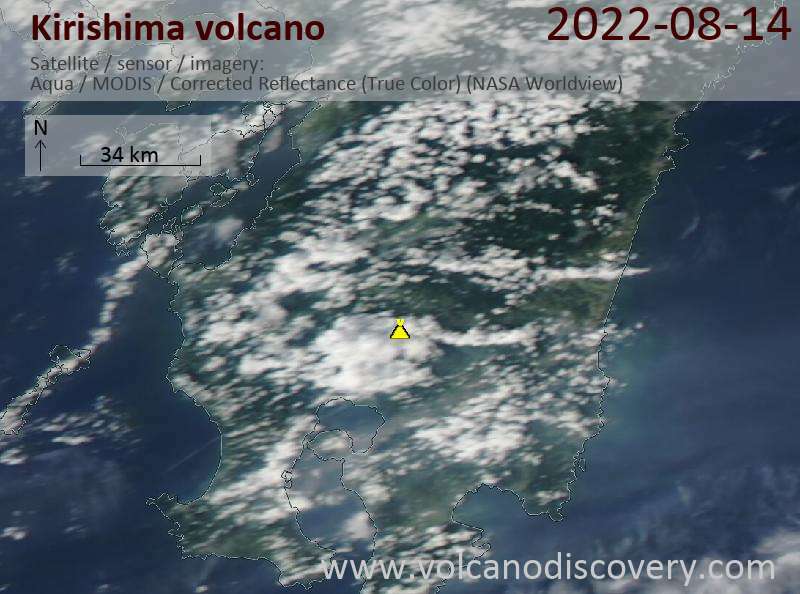 Kirishima volcano near Kagoshima town on Kyushu Island exploded violently earlier today (13 March), sending an ash plume to 4 km elevation. This is the first significant activity since March 1. It can not be ruled out, but probably remains speculation that the violent 8.9 magnitude earthquake on 11 March played a role in the reawakening of Kirishima.